There are a few things that occur every spring here at the wildlife center. The arrival of baby squirrels, opossums and birds starts it off. At first one or two a day, then 10 to 20 a day and so on until every flat surface in the building is covered with enclosures of demanding little ones wanting to be fed. Just when the staff is about to pull their hair out in frustration along comes the next arrival of spring, “The Summer Interns.” They are sunshine in tennis shoes, wide eyed with big smiles, eager to learn and help. They are more a blessing than they will ever know. This spring we have two Communications and Marketing Interns in addition to our Animal Care Interns. This is a real treat. These two young ladies will be sharing their experiences here at CWC with you through our social media channels and newsletter. I am a strong believer that you can’t write about something until you have experienced it. So, over the course of the summer they will be exposed to every aspect of operating a wildlife rehabilitation and education facility. Here is a little example of how it’s going so far. 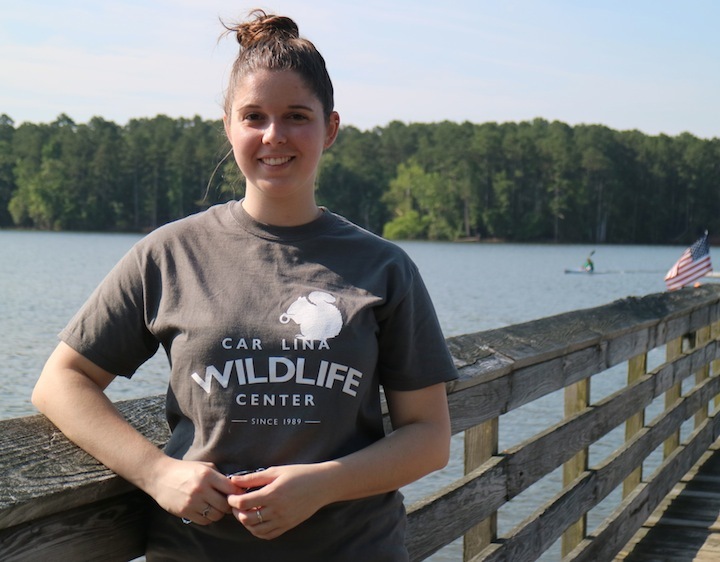 My journey as a Marketing and Communications Intern at the Carolina Wildlife Center began on Monday, May 16. My supervisor, Jay Coles, was not joking when he told me I would be thrown into the Center’s daily activities. After a brief orientation and tour of the grounds, my day started by observing the young birds being hand-fed. These particular birds must be hand-fed every 30 minutes; others must be fed every hour, and others every two hours. Between the commotion of the birds chirping away and timers signaling feedings, it was a bit overwhelming at first, but eventually the noise drowned out as I focused on learning how to properly feed the birds. My first hands-on contact was with the Center’s resident opossum named Trinity, who I thought was beyond cute. (I never thought I would call an opossum cute.) Because she is a resident animal used for educational purposes, I was able to talk to and pet her. However, I have to restrain myself from talking to the rehabilitating wildlife, which is quite difficult for an animal lover like myself. Since ultimately the goal is to release them, talking to the animals might make them too comfortable around humans. This increases the possibility that they won’t stay away after being released. I would call my second day at the Center a success. A little-known fact about myself is that I am actually afraid of birds—a fact not even my supervisor knows. I had to face that fear without hesitation on my second day, since half of the rehabilitating animals have feathers and beaks. A few times a day, the bird boxes must be cleaned out, and their food and water must be replenished. In order to do this, you must remove the bird (or sometimes 3-4 birds) from the bin and temporarily place them into another. This involves picking the birds up, which honestly was the last thing I voluntarily wanted to do. When I cracked open the lid to handle my first bird, I didn’t know how I was going to do it. I had never even touched a bird before. Before I could think myself out of it, I pushed aside all hesitation and went for it. And it wasn’t so bad. Being used to furry animals, holding a bird felt strange, but I actually enjoyed it. As I worked my way around the room, I started to get more comfortable handling birds. However, I learned that woodpeckers are not the nicest. A woodpecker gifted me with my first bite on the job, and as a result I had to get help handling him. I wasn’t quite ready to face my fear THAT much. By the end of my first week, I felt like I was finally starting to get comfortable with the work at the Center. I had experience soaking turtles, changing out opossum and bird bedding, preparing diets for opossums and birds, and in general learning how to be helpful. Before starting this internship, I knew caring for rehabilitating animals was a lot of work, but really I had no idea just how much work goes into their care. After seeing it first-hand, when I hear the bell on the front door ringing as someone enters with a box, I can’t help but feel disheartened at the thought of having to care for another injured animal. However, from what I’ve seen of the staff at the Carolina Wildlife Center, I know those injured animals are going to receive the best possible care, and I am excited to be a part of that. 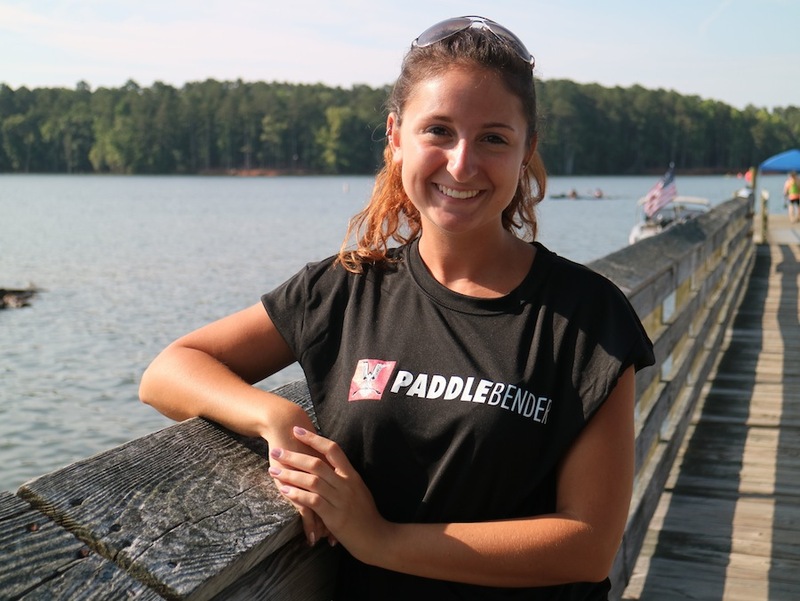 From The Eyes Of An Intern: an unpaid yet rewarding story. I have been at the Carolina Wildlife Center for a week now and I would be lying if I said the experience was exactly what I thought it would be. In just a short amount of time I have already learned and gathered so much of value that I will take with me for the years to come. My official title at the Carolina Wildlife Center is the Communication and Marketing Intern, yet it encompasses so much more. I am not only given the opportunity to work on my public relations skills, by sharing with the public all of the skills I’ve learned and put to use, but also, I am receiving hands on work with the wildlife, something I never imagined doing. I would also be caught up in a lie, if I said the work being done at the Carolina Wildlife Center is easy. It takes a crafted-team of employees, volunteers and interns to complete the work, which is never quite finished. Countless hours are spent on your feet in cramped, crowded spaces, while being bitten and scratched by the injured animals. Many might ask, why? All of the members that come together at the Carolina Wildlife Center are being paid little to nothing, which for a college student I might add, making no money is not always ideal. Up until this point I have had no experience with the non-profit world, and I never had a full understanding of how they ran everyday business. I have gathered from my short time here, that money is the last thing on the employees minds. The work being done comes from a deeper sense of passion for wanting to help others, of different sizes and species. Animals have always held a special place in my heart, so when I had the chance to work at a wildlife center I jumped at it. Since my first day that I’ve been working in non-profit wildlife rescue and rehabilitation I have realized that it will never be easy. Combined it will be frustrating, rewarding, wonderful, exhausting, enlightening, and heartbreaking all wrapped into one. The satisfaction of helping just one is tremendous. After my first day at the Carolina Wildlife Center I came home, my feet aching, and my mind and body physically drained. Not that the work was excessively physically demanding, but I was unaware of the work that had to be put in every minute at a rescue and rehabilitation center. I was not prepared for seven hours on my feet with no break. Between the staff, the volunteers, and the interns there is someone always there from 8 a.m. to sometimes after midnight, with beepers buzzing every 15 minutes as a reminder for the animals regular feedings. You can really feel the joy of the people working beside you. Everyone is there for the same purpose, to help those who need it, to give the injured a second chance. I can’t quite find the word to describe how I feel about the Carolina Wildlife Center. However, I am proud that I am able to be a part of it as an intern. I am excited to not only take away knowledge from the kids camps I will be assisting with, the elementary schools I will be visiting, and the writing I will do for the Carolina Wildlife Center, but also learning more about the wildlife itself that surrounds us. Money does not always make the experience worthwhile, taking pride in the overall work, and feeling like you are making a difference does. I have a newfound respect for the non-profit world.